Graces' Adventures Down Under: Nippers here we come! As you can imagine, the beach is an integral part of life for most Australians. We're still amazed at the variety of beach activities available in Oz. We've been able to witness this beach culture many times but decided it was time to participate with more than just a swim at the beach so we signed Charlee and Adam up for the Nippers program at North Cronulla Surf Life Saving Club. "There are now over 40,000 junior surf life savers (Nippers) in Australia. Children can join the program from as young as seven years old. The aim of the junior program is to give children surf awareness and surf safety skills so that they can keep themselves safe at the beach. They can also participate in board paddling, surfing, swimming, running, wading and other fun activities and games. These are the skills that allow children to compete in club, regional and state surf life saving carnivals." 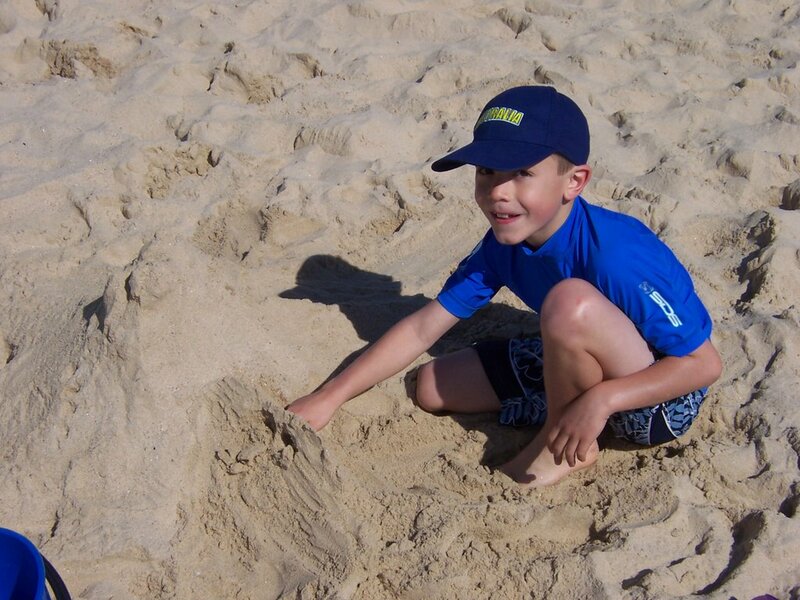 Each Sunday morning from 9 to 11, Charlee and Adam, will join the fun at Cronulla Beach. They can't wait! Some photos of some of the activities! 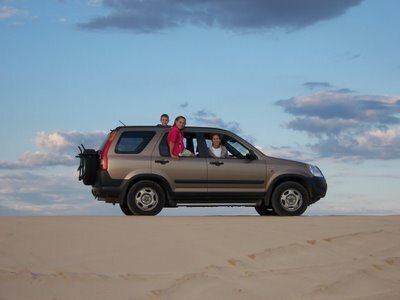 The Betchers are major 4WD enthusiasts and often talk about their adventures with the Suzuki 4WD club. In two weeks, we're off to the Gold Coast and Sunshine Coast for our next holiday. We're venturing as far north as Fraser Island - the world's largest sand island! We were a bit concerned whether our Honda CRV could handle the sand so, on Chris' suggestion, we tore up the sand dunes at Cronulla on Sunday afternoon. What a riot! Chris has provided us with some valuable information for our trip to the big sand box. We can't wait!!! Coincidence? I think not! 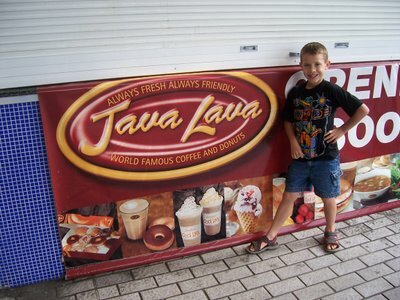 This has Tim Horton's written all over it! 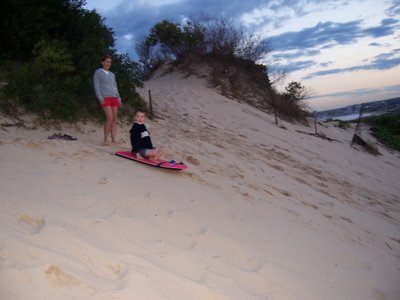 A little sand tobogganing to finish the day off! Bowral to visit the Robs! Some roo on the barbie!